The 60 Series Pilot Regulator provides an accurate control pressure, improving the performance of all types of flexible-element main valves. 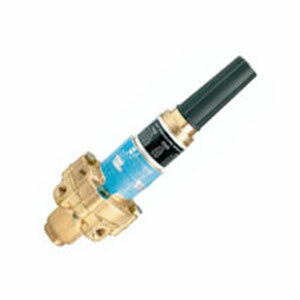 The 60 Series provides fast, accurate and stable pressure regulation. It is recommended for installations where there are large variations in inlet pressures and temperatures. The 60 Series Pilot is available in four models; 60L-PR (Low Pressure 3-325 PSIG Pressure Reducing), 60L-RV (Low Pressure 3-325 PSIG Relief Valve), 60H-PR (High Pressure 250-900 PSIG Pressure Reducing) and 60H-RV (High Pressure 250-900 PSIG Relief Valve). All connections are 1/4” NPT.